Great Pond Belgrade Awsome and ON!! 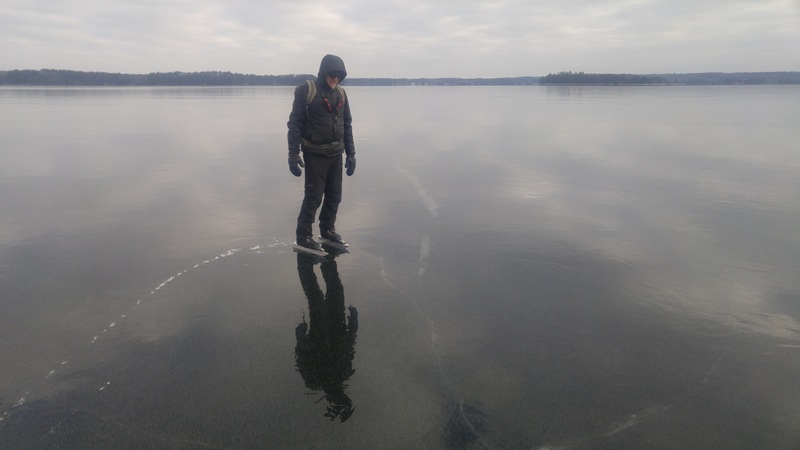 The ice is 6″+ and grade 10++. They launched from the boat launch, which has a thin covering of hard packed snow, and skated to Hoyt, through the straight, and headed south. There is a pressure ridge from Oak Island to the shore, which they stepped over. There is no evidence of any ridges in the north end. There is great wind tomorrow, going light Thursday and Friday before scattered showers over the weekend. Tomorrow’s the day: seize it! 1 Response to Great Pond Belgrade Awsome and ON! !